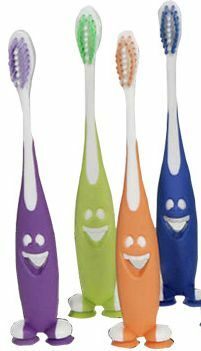 There are 13 handle colours to choose from, printing can be in gold or black, and brushes are approved by the Oral Health Foundation. We will contact you for your logo and personalised instructions. Delivery approx. 6 - 8 weeks. Please note delivered number may vary by +/-5% for imprinted toothbrushes.